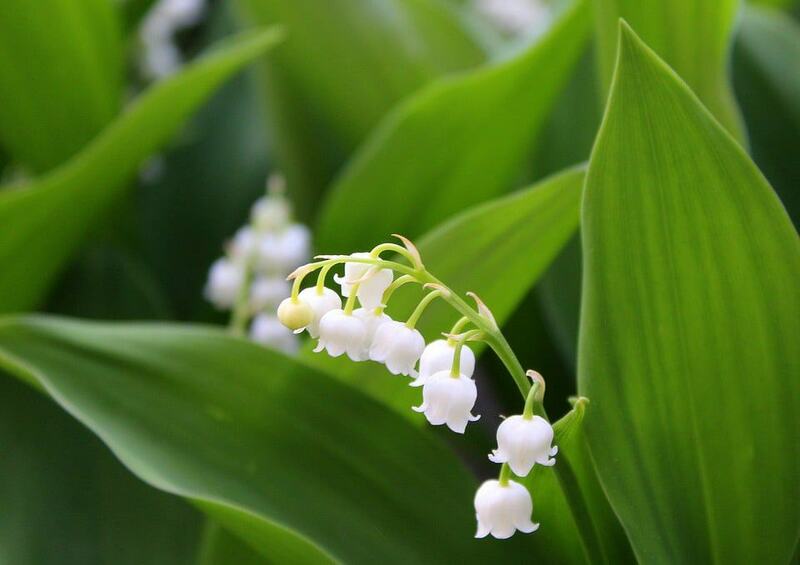 We’ve compiled a list of more than 45 types of white flowers including Lily of the Valley, Hydrangeas, White Roses, Ranunculus and more. Learn their names, see pictures and more. 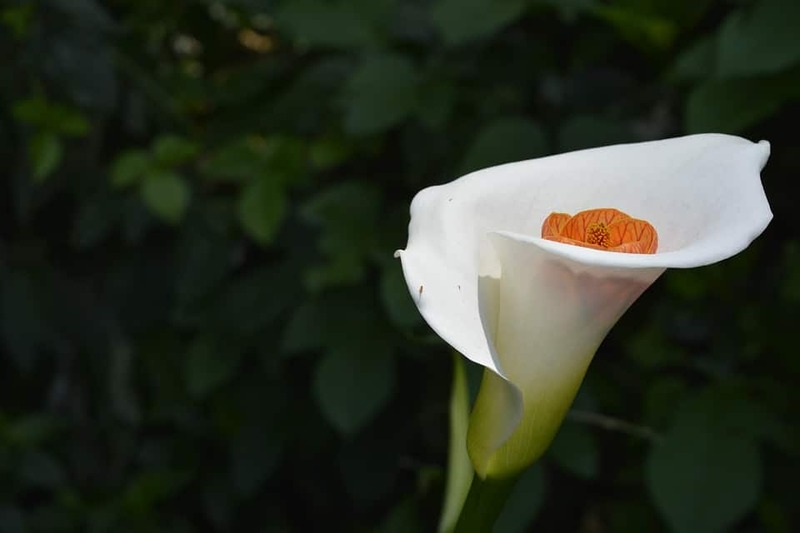 Known for their single petal bloom, calla lilies are a common cut flower given around Easter. These can be easily grown inside or outdoors. 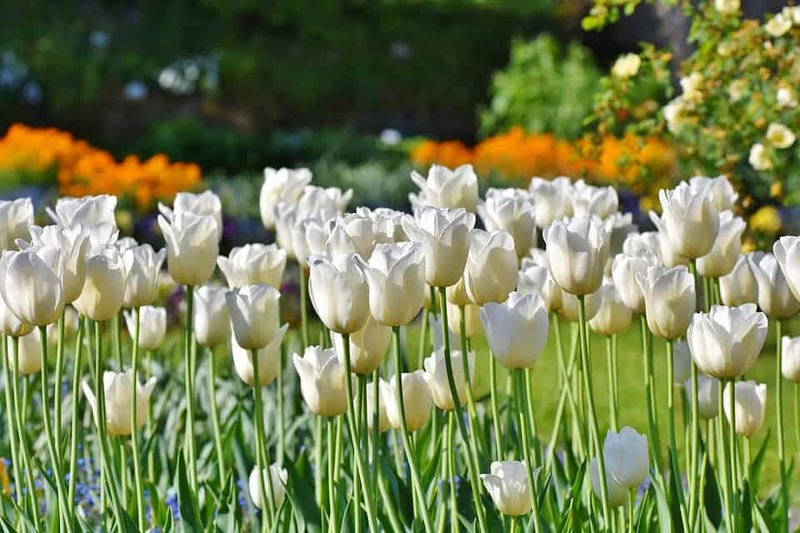 A large display of spring-blooming tulips makes a stunning and welcome statement when most other plants are dormant. Tulips come in a wide variety of colors and sizes. These flowers are planted in the spring after the last frost for a summer display of large, multi-petaled blooms. They come in various colors including white. Dig them up and store them after the first few frosts. Petunias are a lovely flower that is actually related to the potato. They come in many colors and bloom profusely from early summer. You can find them in pure white, or in white paired with bright colors. Plant petunias in beds or containers for best results. 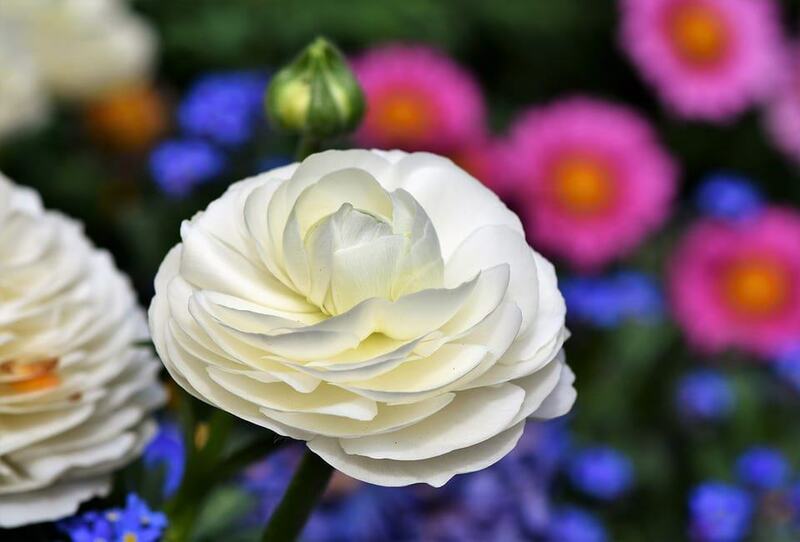 With over 2,000 types of roses, everyone is sure to find a type that will fit perfectly into their garden. 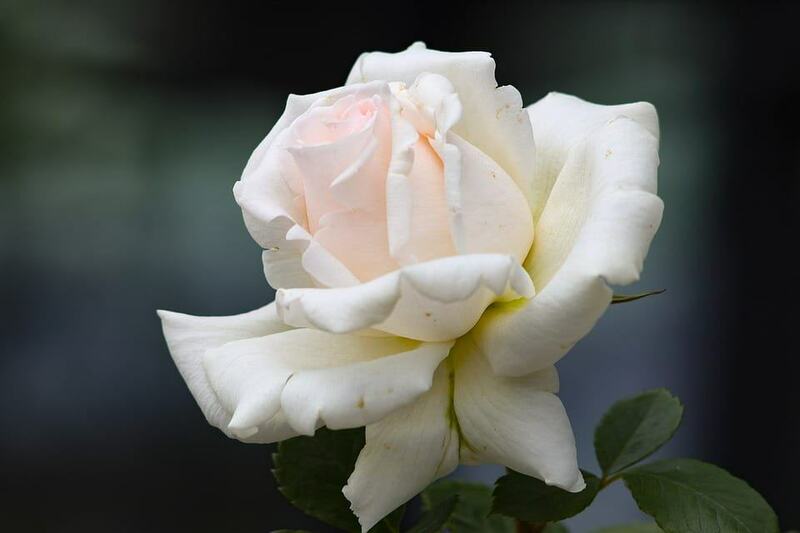 The most important thing to remember about any kind of rose you plant is that it requires lots of sun. 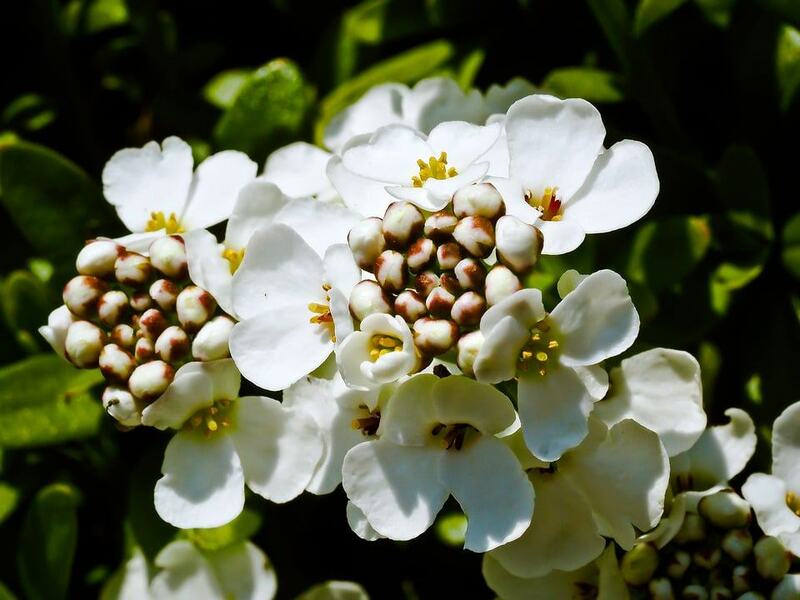 These bushy white flowers are typically found in blue or purple, occasionally you will find a special one with white blooms. 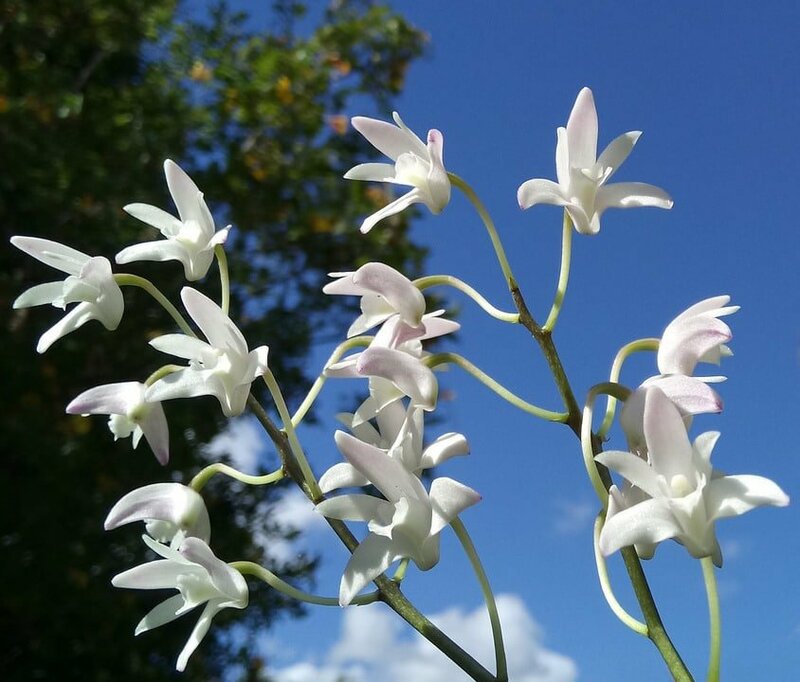 These blooms are extremely fragrant and are said to smell like candy. Sometimes called pin cushions, these plants produce lacy blue or white flowers on small stems. Plant a lot of them for the best effect. 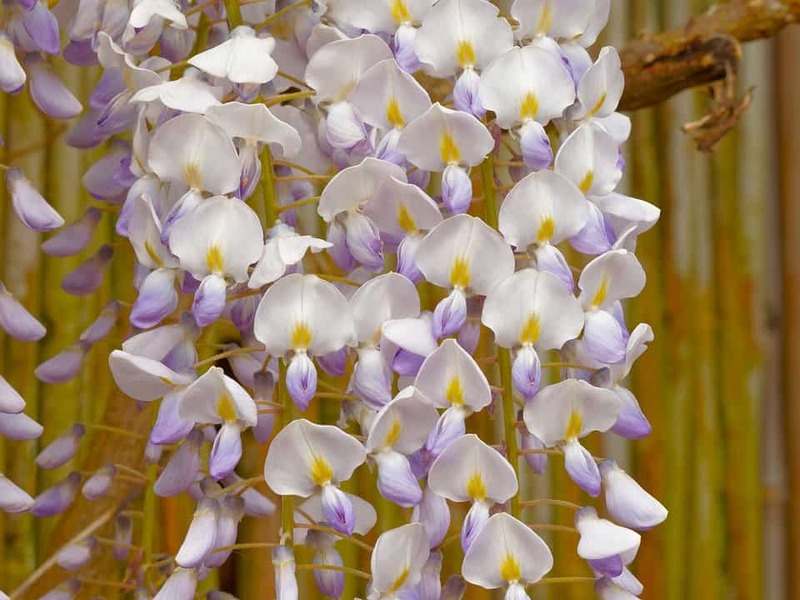 Wisteria is not for someone who wants an easy garden. These exotic, long vines require a strong support and may become invasive if not pruned regularly. Their violet, white or pink clusters of blooms bloom unpredictably and are easily killed by cold. 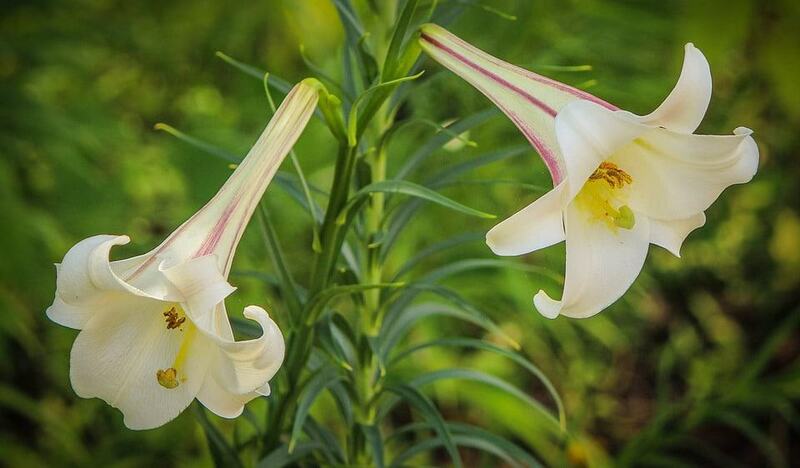 Lilies are often found growing along ditches and in fields, a testament to their low-maintenance style. 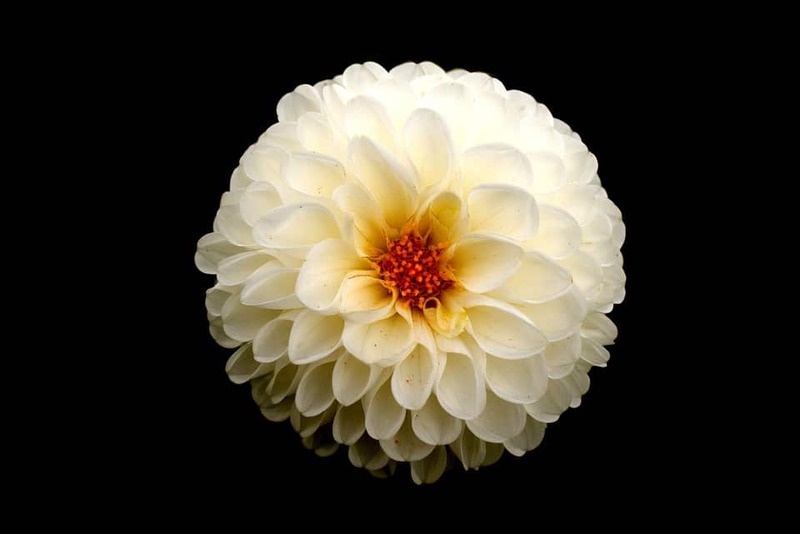 Their large blooms make them very popular in spring time floral arrangements. 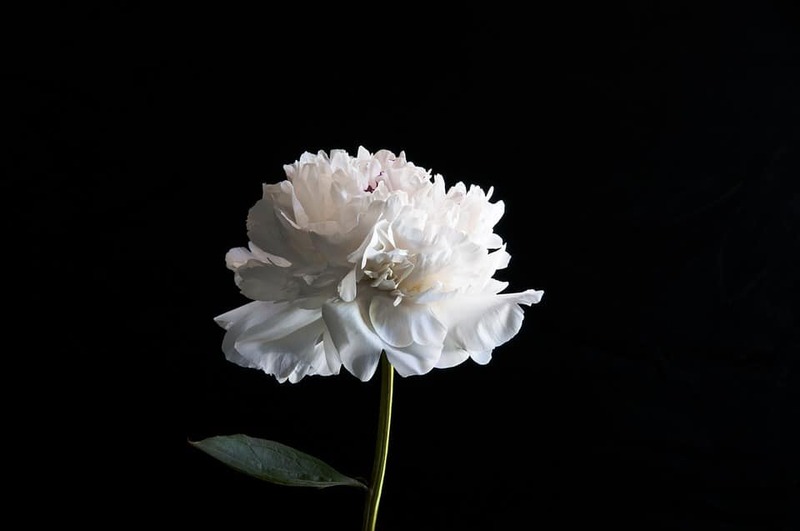 More commonly called a carnation, this bloom is very different than the one in bouquets and given as gifts. 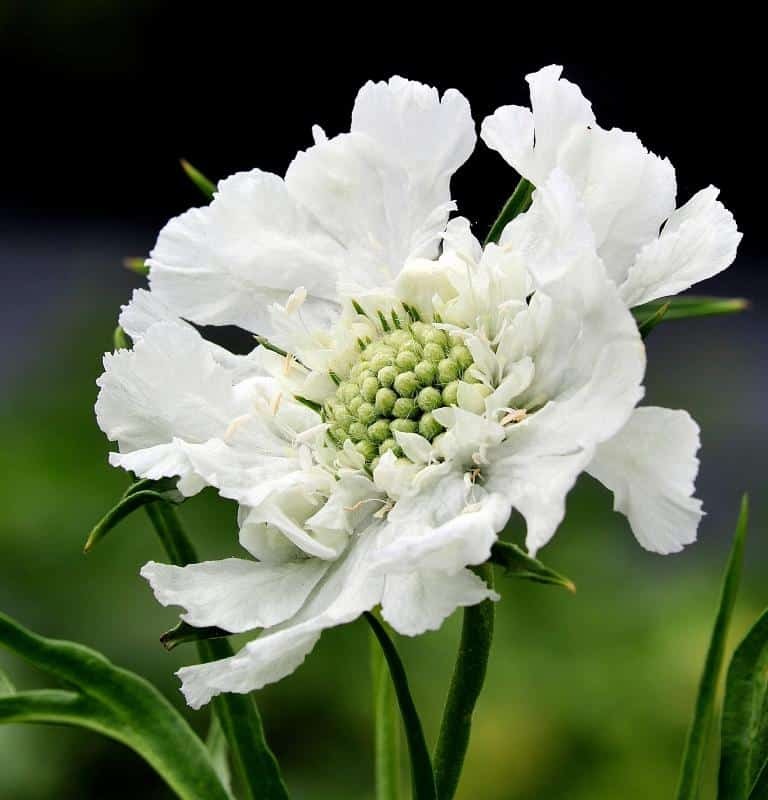 It has only 4 small thin petals and will only grow a few inches in height. These big, bright flowers are often the mascot for floral arrangements. Popular due to both their size and colors, these are the perfect addition for any garden. A true showstopper, the hardy hibiscus is sure to wow with its dinner plate-size blossoms. These large-scale herbaceous plants are quick to grow and fill a space, and they add a great tropical feel to any garden setting. These bushy purple blossoms are easy to recognize both by their look and scent. Although they are naturally purple, their color can change depending on the type and quality of soil they are planted in. 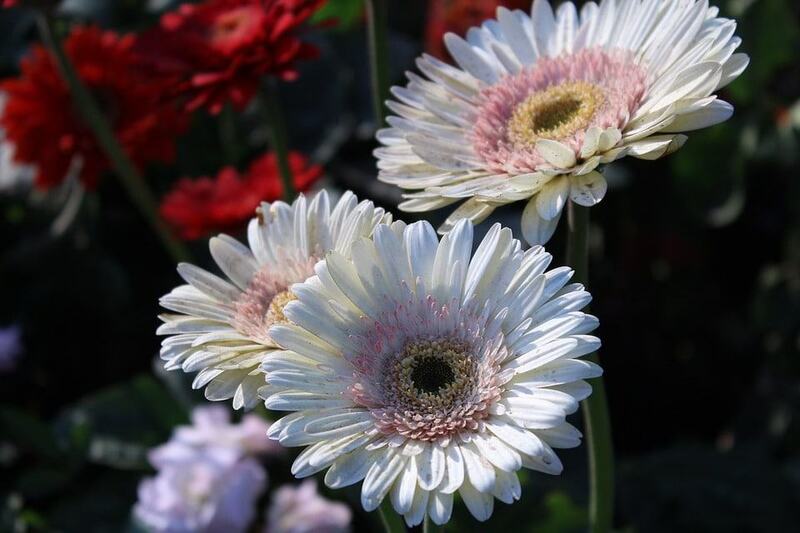 Unlike its cousin the gerbera daisy, this one only comes in white and is quite dainty. They grow on a leafless stem which makes them the main attraction. These spring blooming bulbs provide bright cheer under deciduous trees, in flower beds or naturalized in a lawn. 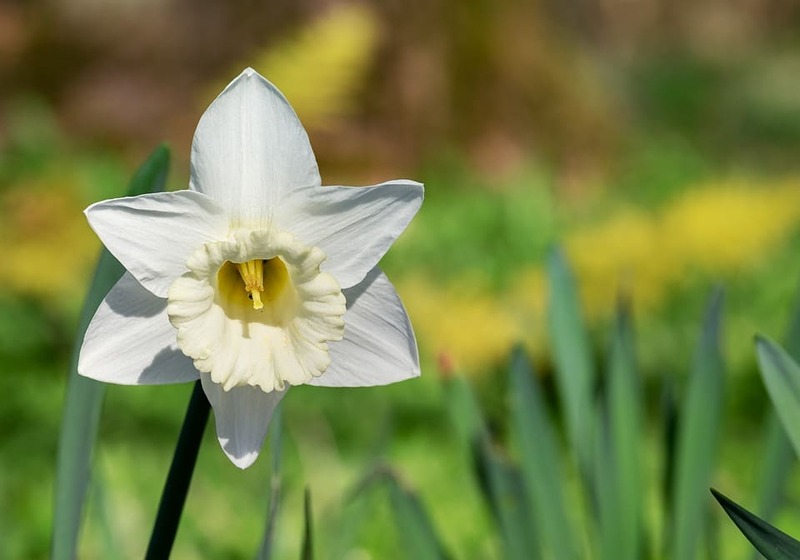 Daffodils are most commonly white, yellow, orange or multicolored. 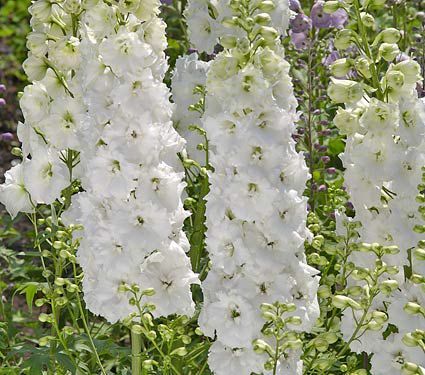 Loved for their large blooms and strong fragrance, these are a hit in any garden. 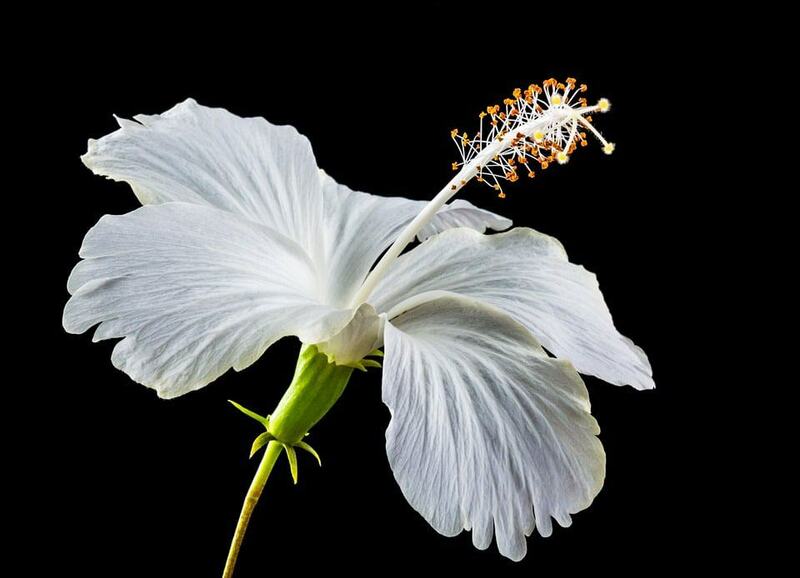 The flower actually grows on a tree, and can be very messy, although still beautiful, when they start to die. 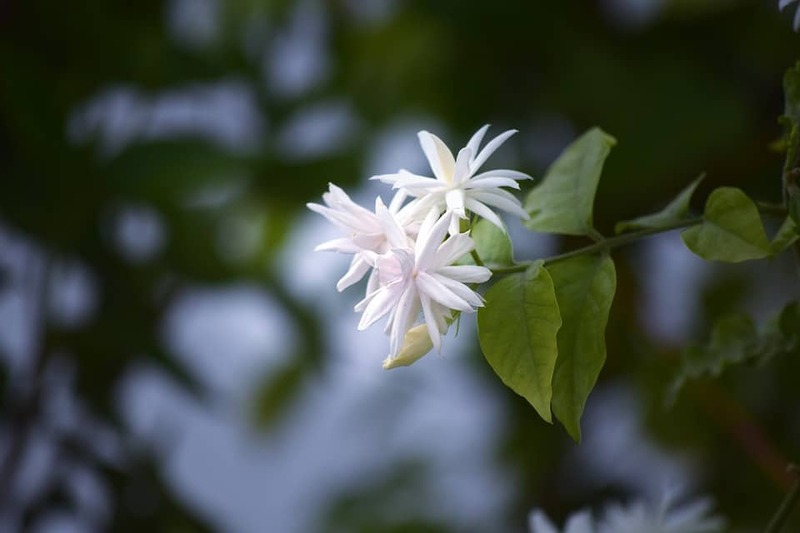 Known for its use in perfumes, jasmine is a lovely addition to the garden. It grows on a vine, which makes it perfect next to a fence. 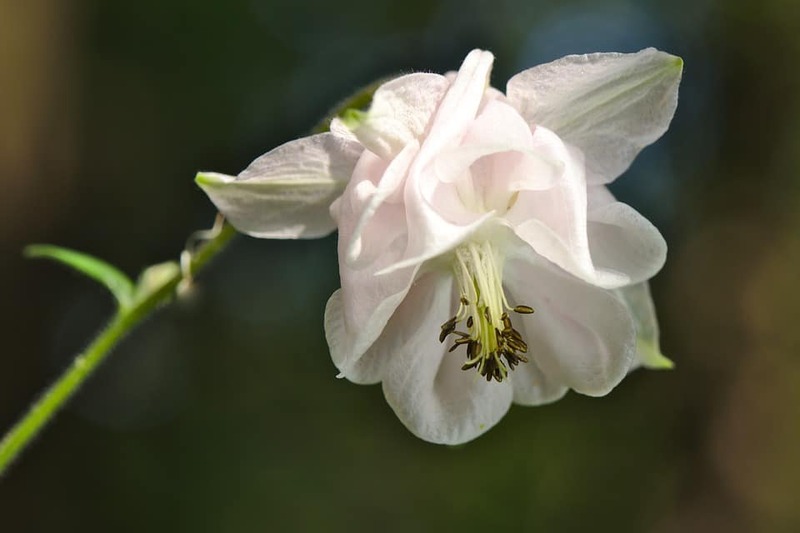 Small white blooms which resemble bells and have a sweet scent. 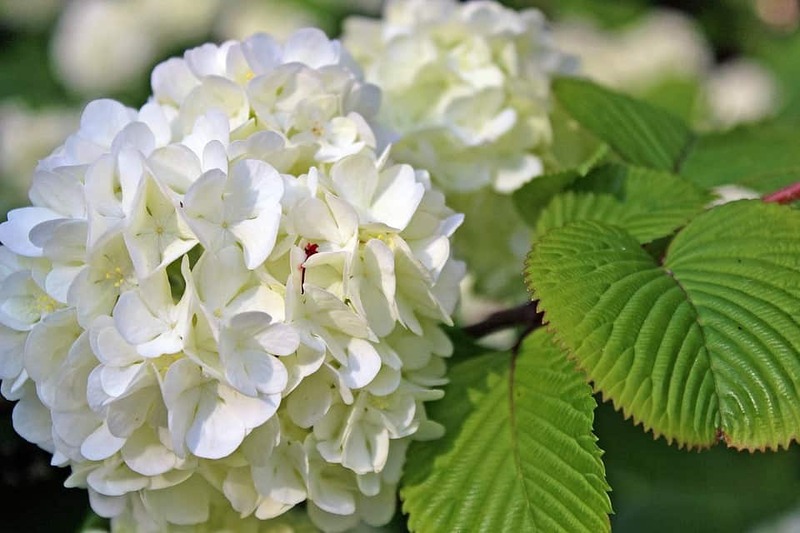 These plants are very low maintenance and great in any type of garden. If you’re lucky enough to live in a temperate region, though, make a place for these in your yard. 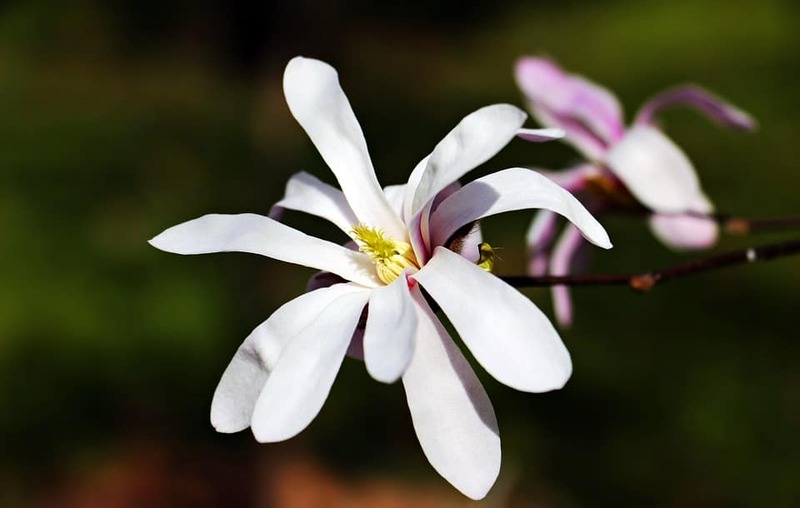 The fragrant flowers, which range from red to pink to white are 2 to 5 inches wide and bloom in the winter. 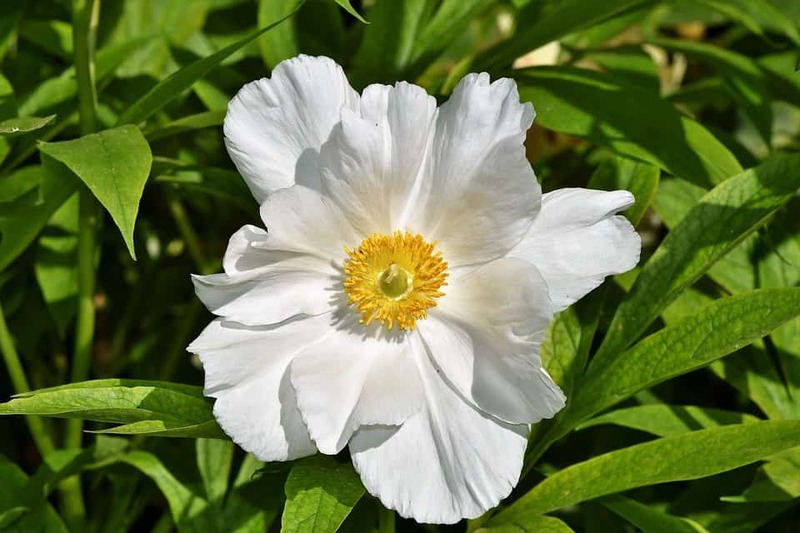 Also known as windflower, these tuberous flowers produce poppy-like blooms in early-to-mid spring. Plant anemones in full sun or part shade. 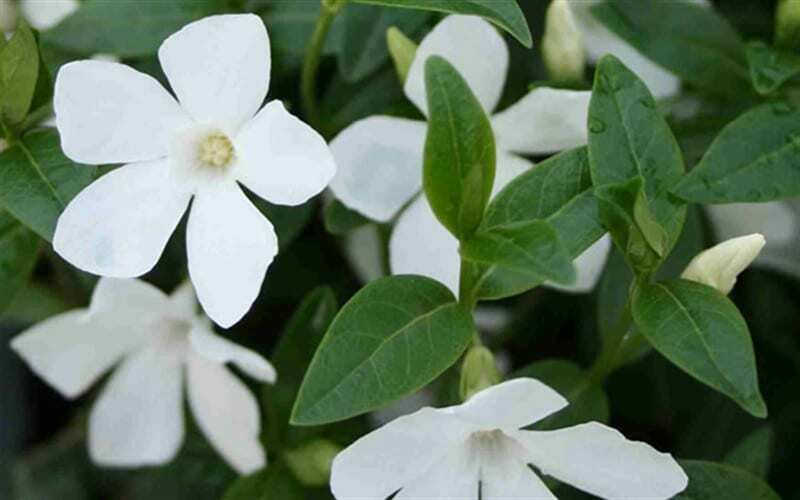 Also known as periwinkle, vinca is a ground cover that produces glossy, dark green leaves and blue or white flowers in early spring. Grow vinca anywhere you need a fast-growing ground cover. Plant in full sun/partial shade. 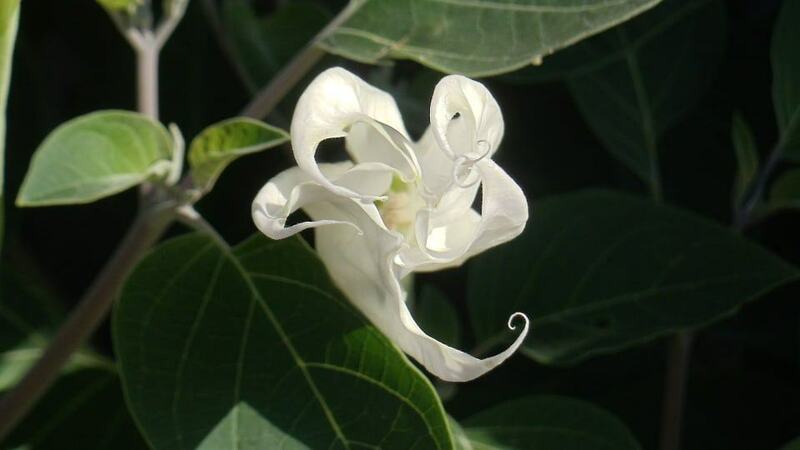 This large, climbing vine produces fragrant trumpet-shaped flowers that attract butterflies and hummingbirds. Plant it in full sun in slightly dry conditions. 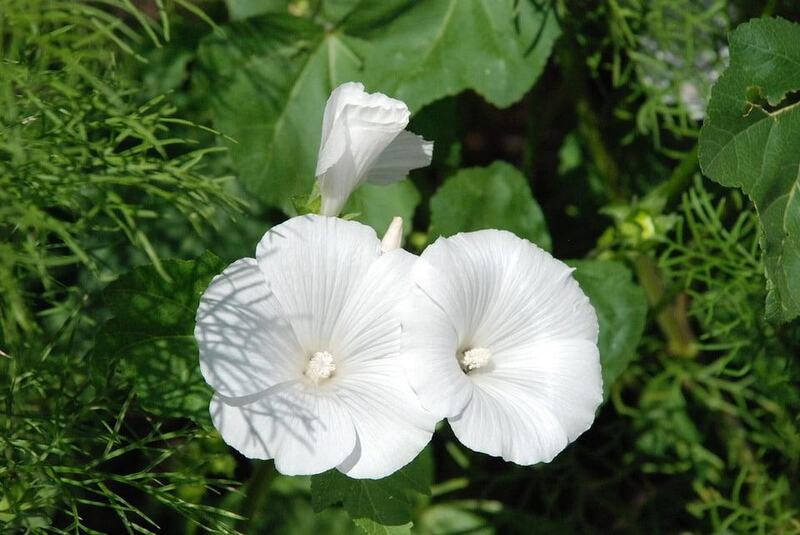 Known for the trumpet shaped bloom, these flowers have large blossoms that come in both red and white. These look great grown next to tulips and other bright flowers. 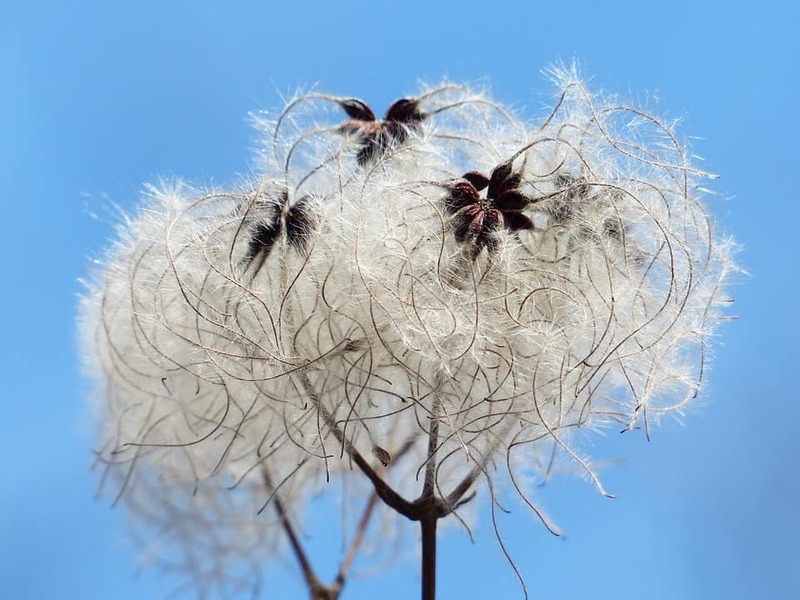 These majestic plants are a bit finicky, but earn their keep in beautiful spikes of blooms. They prefer cool summers and moist conditions. Stake tall delphiniums to keep them from toppling. 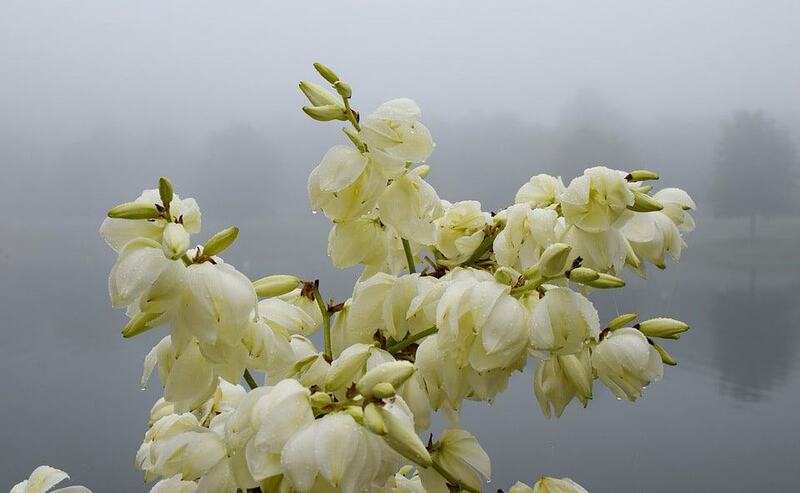 A yucca in bloom is a showstopper. 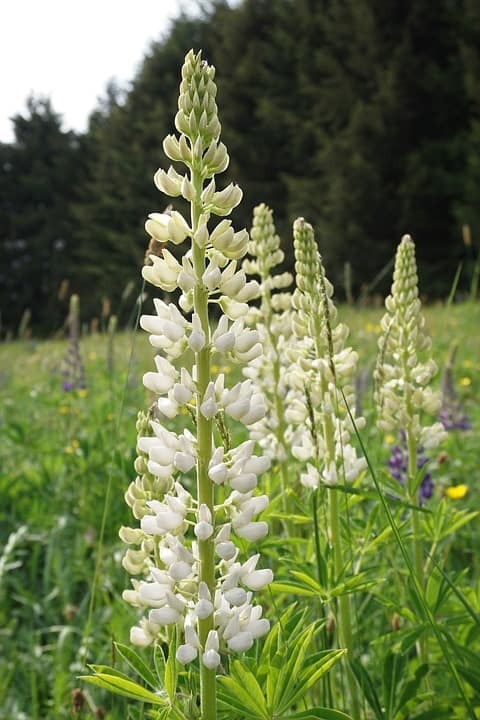 It produces spikes of large, bird-attracting white flowers in summer and fall. They have very stiff, sharply pointed leaves. Be careful to sit them away from paths or other places people could be scratched by their sharp leaves. Unlike its relative the morning glory, the moon flower closes up during the day and opens at night. The perfect addition to any garden that is kept by a night owl. Hyacinths are spring-blooming bulbs that produce spikes of flowers suitable for cuttings. 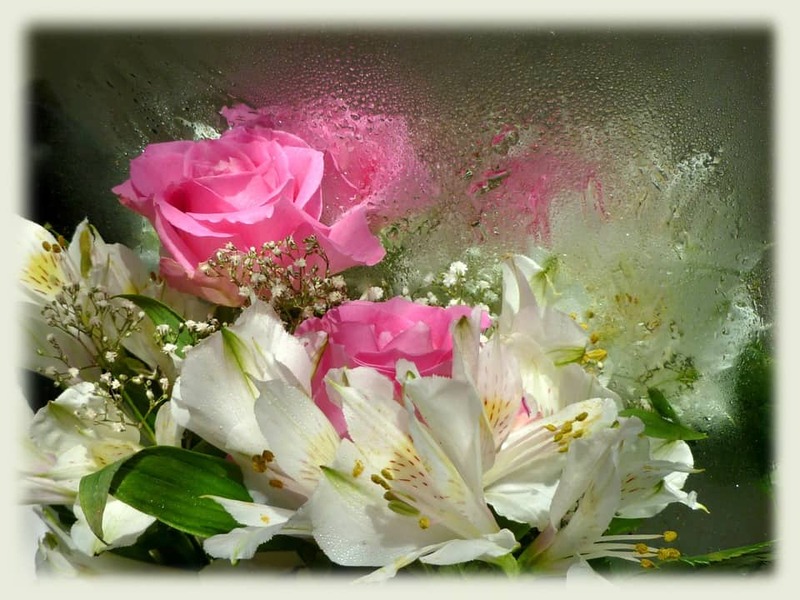 Their sweet scent is also welcome in an indoor arrangement. This flowering vine produces extravagant flowers all season long. To ensure a long bloom, make sure you keep the roots cool by covering the ground with mulch or smaller plants. 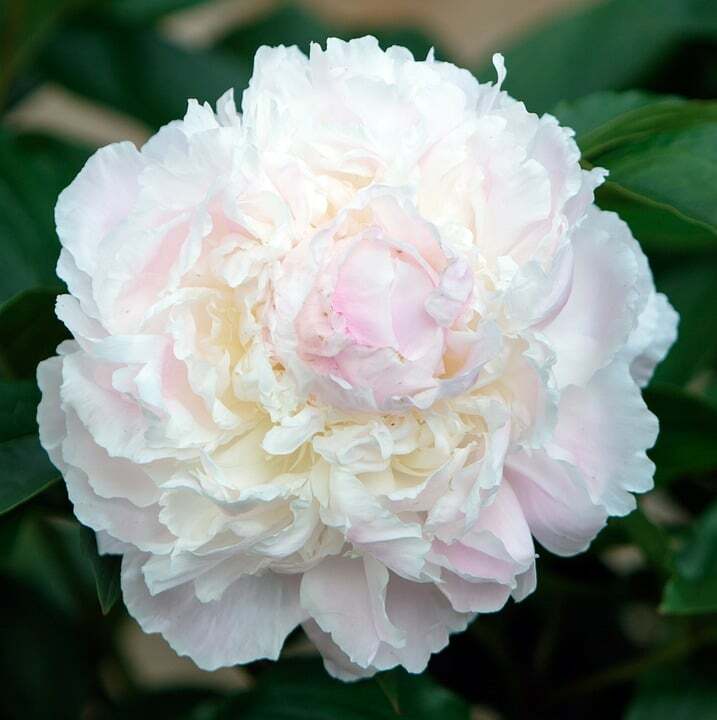 Old-fashioned peonies thrive in cold climates and don’t tolerate warm winters, although some new varieties are warm-region adapted. They take several years to become established and may require staking, but their beautiful, lush blooms are worth the wait. Commonly used by florists because of their large blooms and ability to be dyed, these are also a great addition to any garden. 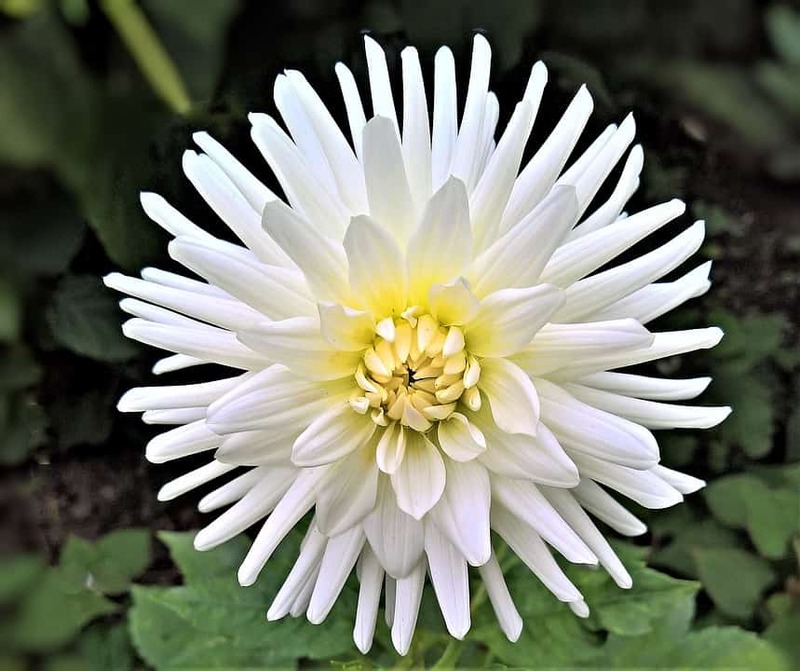 They are easy to grow and bloom all season long. 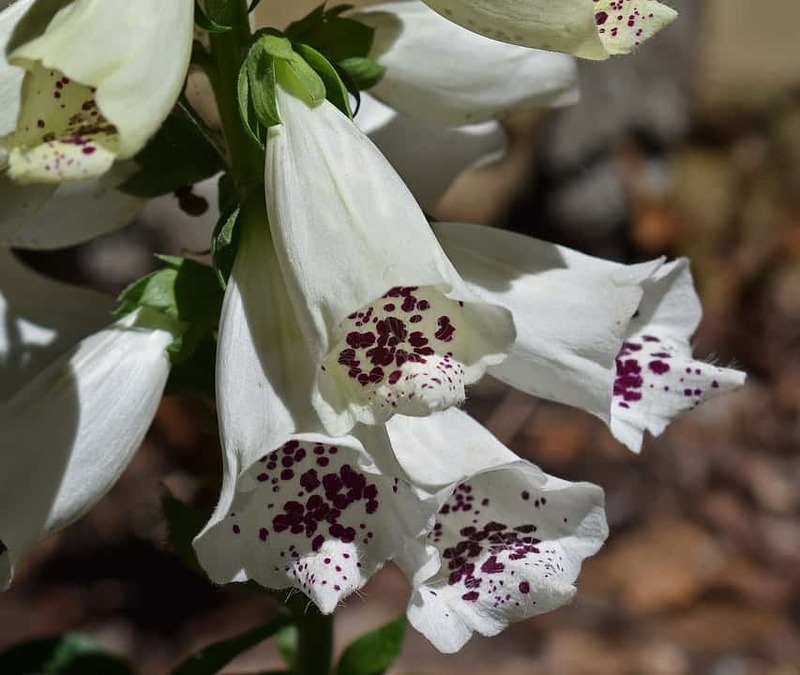 These polka dotted bell shaped blooms grow on long stalks. 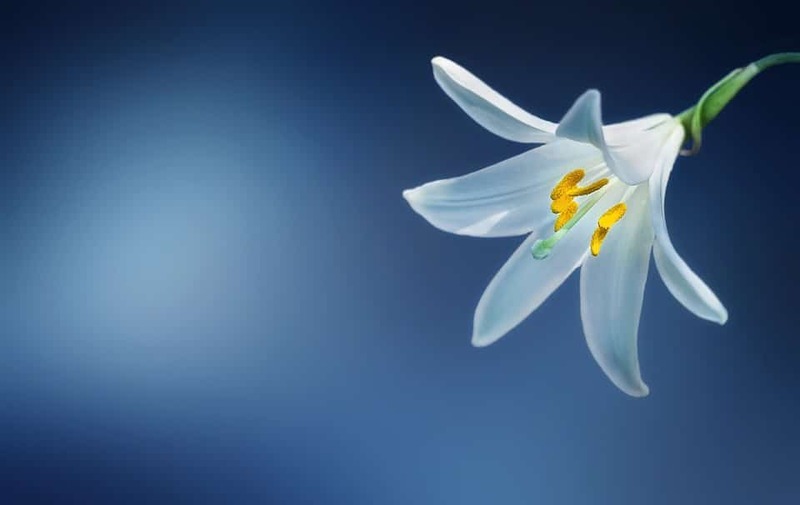 If you have any heart issues, you should avoid this flower as it contains oils that can be very dangerous to those with existing problems. 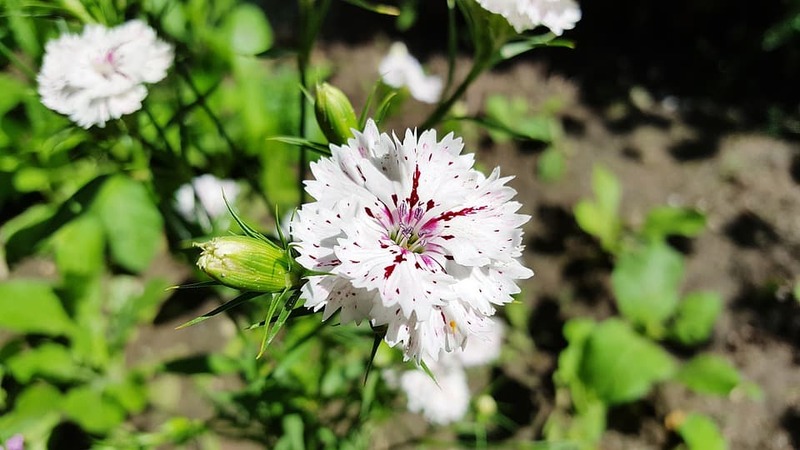 Although these flowers are short lived, when they do bloom they are a stunning addition to any garden as they come in call colors of the rainbow.This flower is perfect if you want to attract hummingbirds to your garden. 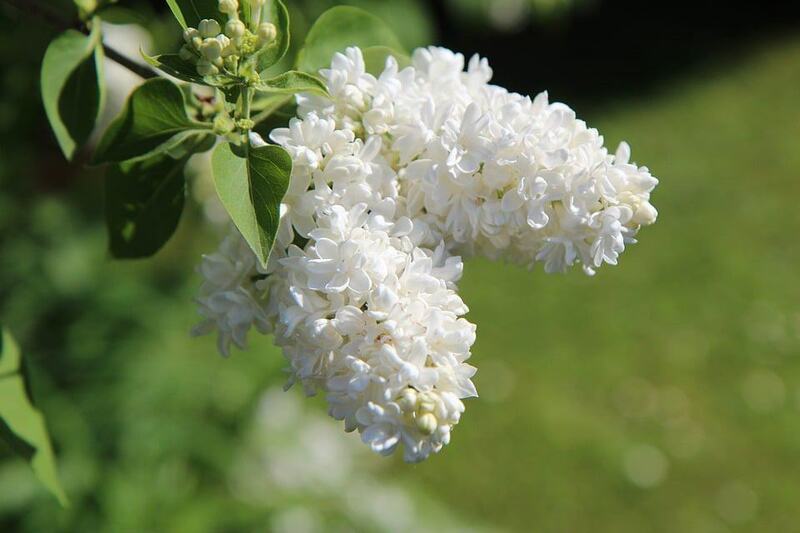 Lilac is a favorite of many people both for its scent and lovely blooms. 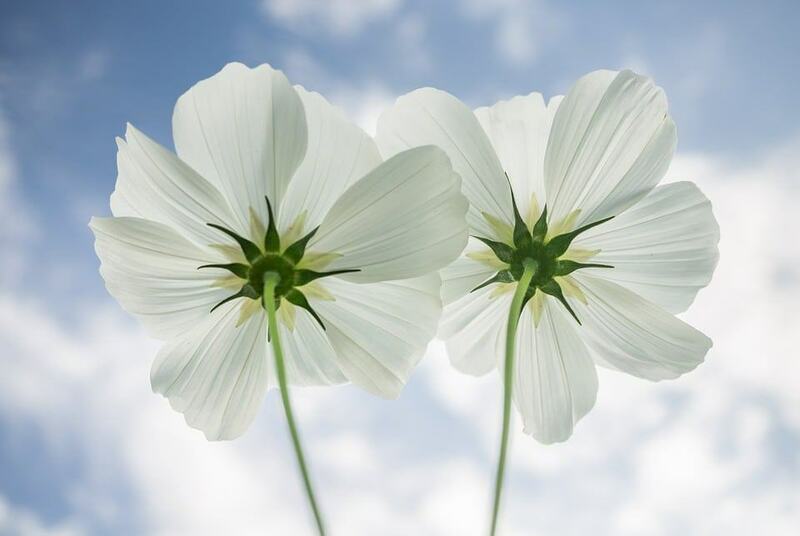 If you want to enjoy these flowers you only have a short time as they only bloom for 2 weeks a year. Plant in full sun or partial sun. These are perfect for window boxes as they have a very shallow root system. Mix with taller flowers for a lovely look. Plant in full sun, but not direct sunlight. Tall spikes of flower clusters look spectacular at the back of a flower bed or lined up against your home. Most varieties prefer cool, moist conditions. Not a plant, but a tree, it is a perfect backdrop for any garden. 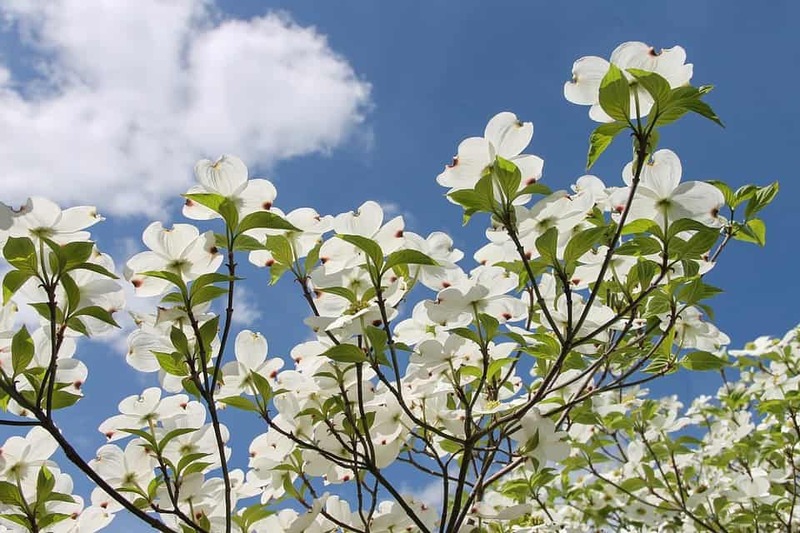 Its large white flowers bloom for 2-4 weeks in spring, and in the fall the foliage turns a deep red. 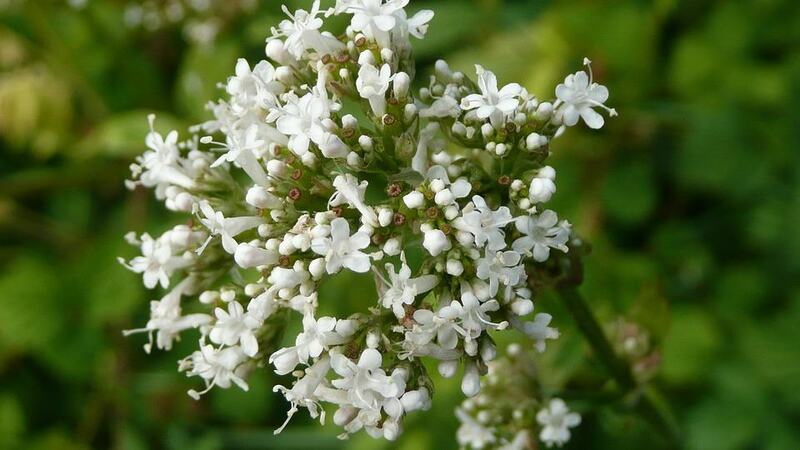 This plant can grow up to 3 feet tall and has beautiful white blossoms. 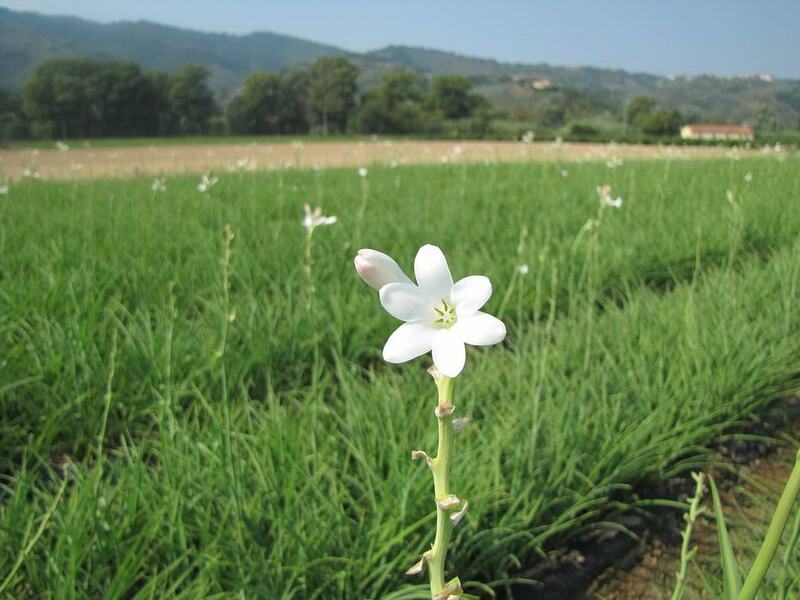 The thing that is really special about this plant is that the blossoms only bloom at night. 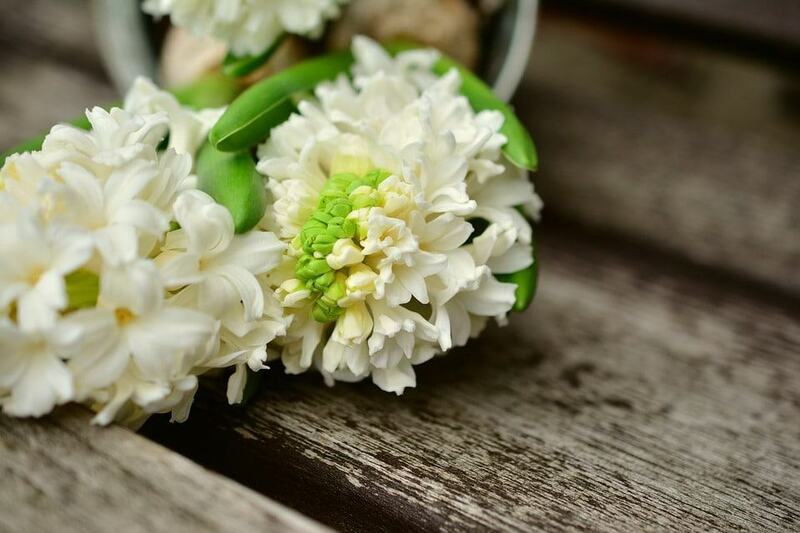 It is recommended that you plant it near a window so you can always enjoy its strong scent. Also known as mums, they are generally grown as annuals in cold climates. 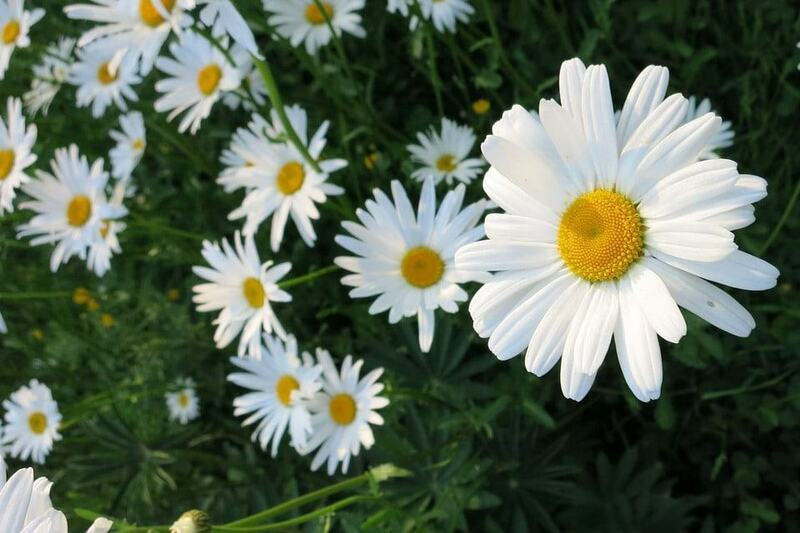 These plants may produce dime-size pom poms to huge, daisy-like blooms. 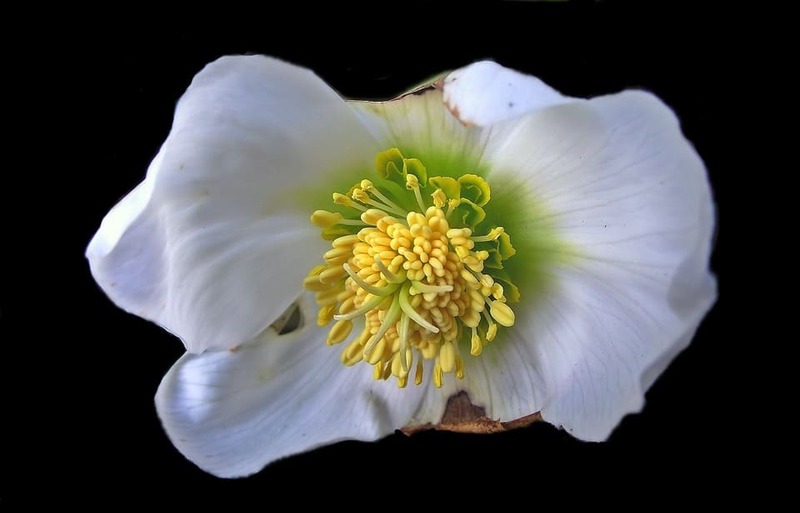 The blooms from a hellebores can bring continued happiness for a long time. 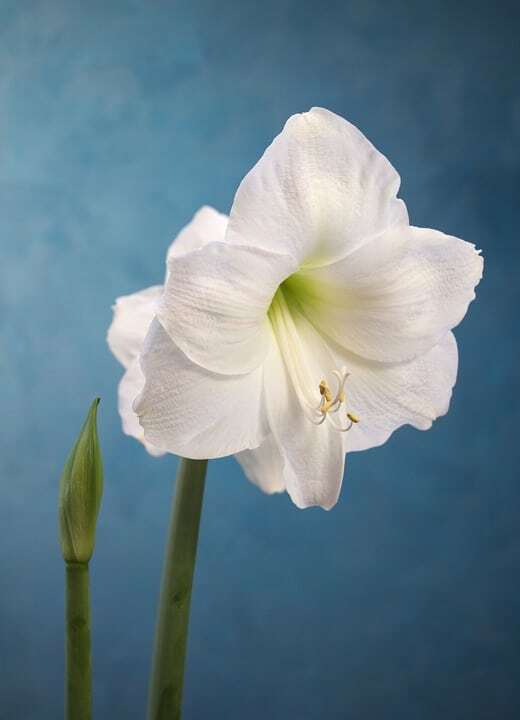 They are one of the longest blooming flowers, lasting up to 8 weeks with proper care. They also make fantastic dry flowers, losing only a slight amount of color, but very little shape. Marigolds have a distinct, peppery smell that some people find displeasing. The good news is that insect pests may also avoid the scent. Also known as a Corn Daisy. 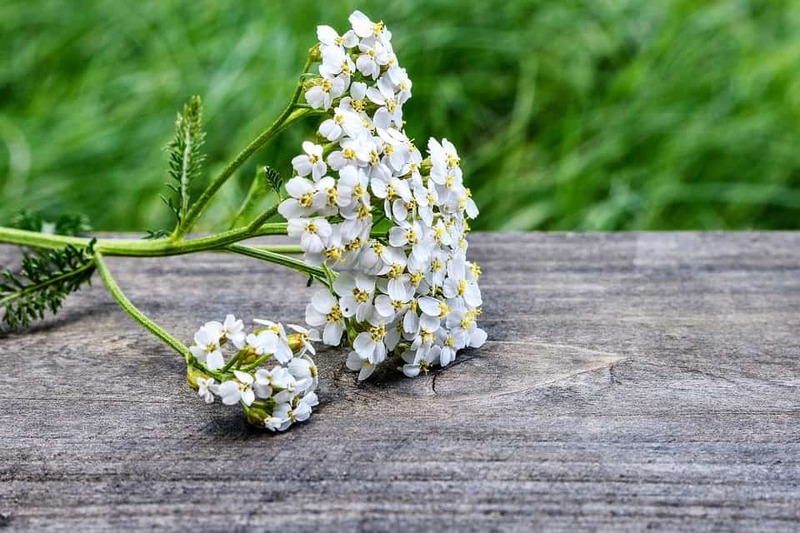 Yarrow produce clusters of yellow, white, salmon, pink or red flowers atop long stems. Their airy, grayish green foliage is attractive, as well. 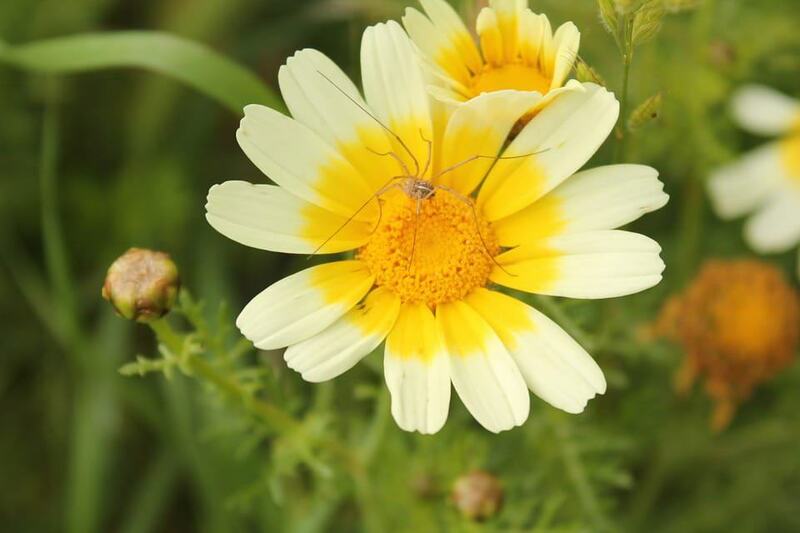 These pretty flowers are commonly planted along side houses and fences due to their tallness. If planting in the middle of the garden make sure to provide a stake for the flowers to grow in order to prevent breaking. Named for its lilac colored blooms that resemble cotton candy, these purple bunches of flowers should never be eaten. They are perfect for rock gardens or next to tall, slender plants. 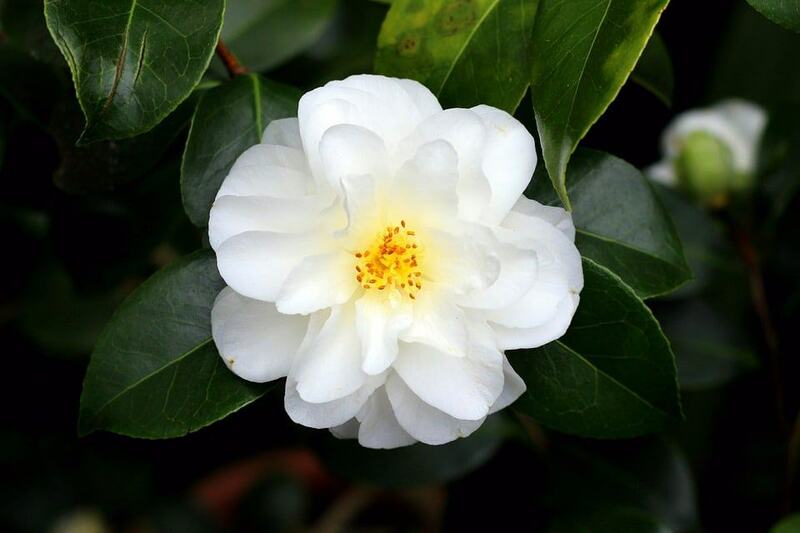 A flowering bush which has large double blooms and comes in many colors. These do best in climates with little wind. Primrose come in a rainbow of hues and may stand 3 inches high to over 2 feet high, depending on the variety. 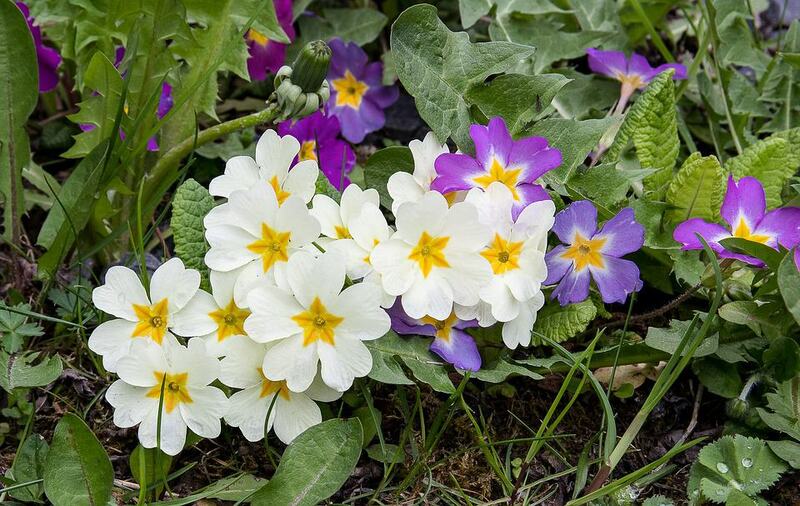 All primroses prefer partial shade, moist soil and cool conditions. These blooms are loaded with petals. They come in many colors and are perfect in a bouquet because they are able to survive as cut flowers for a week or two. 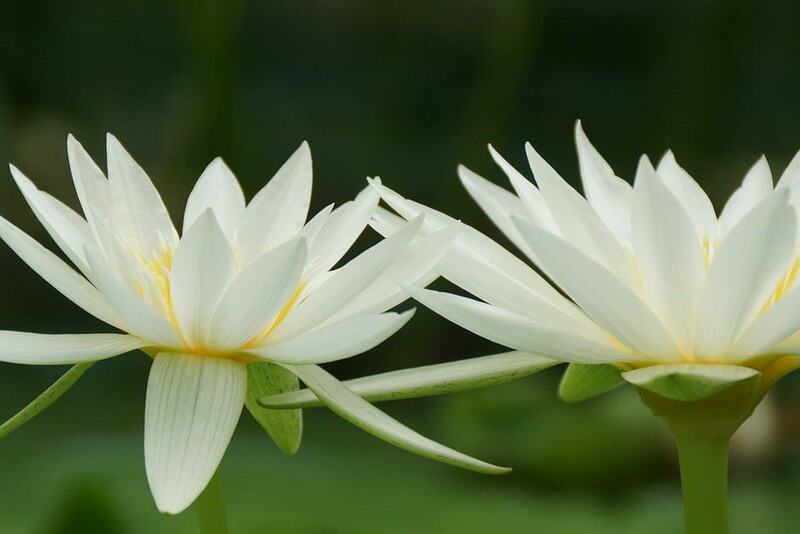 If you have a small pond, or even a pool of water (that you don’t swim in), these are a perfect choice for expanding your garden. They come in a variety of colors and are very hardy. Take a look at other flower types on our Types of Flowers post.